A couple of weeks ago, I was fortunate enough to be sent a copy of Season 3 of Vikings, and loved what I watched. Even though it was slightly difficult coming into a series that has already established itself. Still, it was well worth the watch, and when the other two seasons were presented to me I was quite interested in delving into them. I think for me, the most fascinating part, is knowing where the characters I’m now being introduced to in the first season end up by the end of the third. I can tell that characters have changed and grown, and now I get to learn the events and people who shaped them to who they are when I first encountered them in the third season. 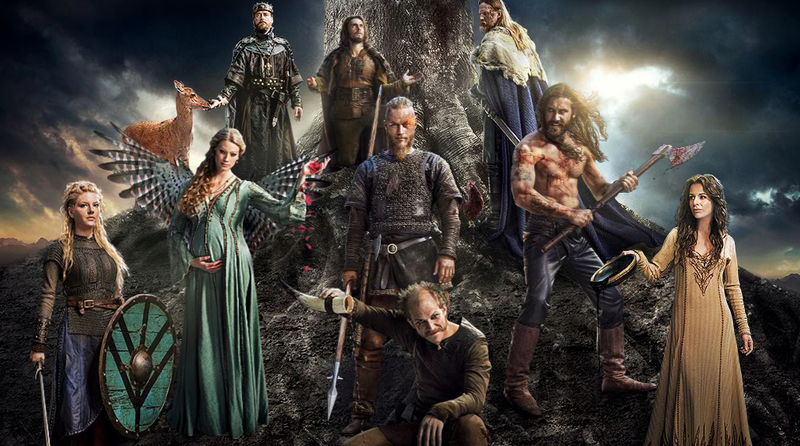 The cast is well-cast, and supremely talented, led by Travis Fimmel as Ragnar Lothbrok, Katheryn Winnick as Lagertha, Clive Standen as Rollo, and Gustaf Skarsgard as Floki. We follow these, and a plethora of other characters as these Vikings continue their expansion, exploration, and conquest, forging trade relations and creating enemies as they carve out the world as they would have it. Combining stunning locations with practical sets, as well as computer-generated extensions, the world Hirst and his cast have created is that of a living and breathing collection of people, dealing with eternal issues, and far too often confronting their own mortality. The thing I love most so far about the series is the coherency of the creative vision. Hirst, to date, has written every single episode, and it is very apparent that there is a through line for each season, and there may even be determined character arcs across the span of seasons. At this point, I’m sure he knows where the series ends, who lives, and what the fallout of those we lose along the way will be, and it’s been an amazing ride so far. Let me say this, I’m sorry I wasn’t watching this show from the beginning because the show is a visual feast. But, I’m also glad that I can binge watch the episodes at my own pace, because one truly is never enough. It’s smart, bloody, beautiful and along with its key cast, has had some amazing returning cast as well, like Jessalyn Gilsig, Kevin Durand, Donal Logue and Gabriel Byrne. If you’ve not seen it, you’re in for a treat, and if you have, wouldn’t they make a nice addition to your DVD and Blu-Ray collections? 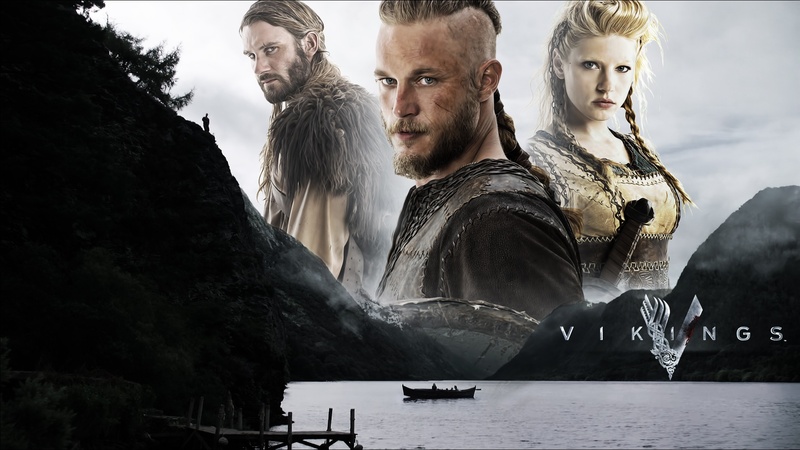 Vikings Seasons 1 to 3 are now available!